LDK Ventures’ Amazon HQ2 pitch, developed by RMW Principals Steve Worthington and Steve Guest, proposed one of twelve sites within the capital city landscape. 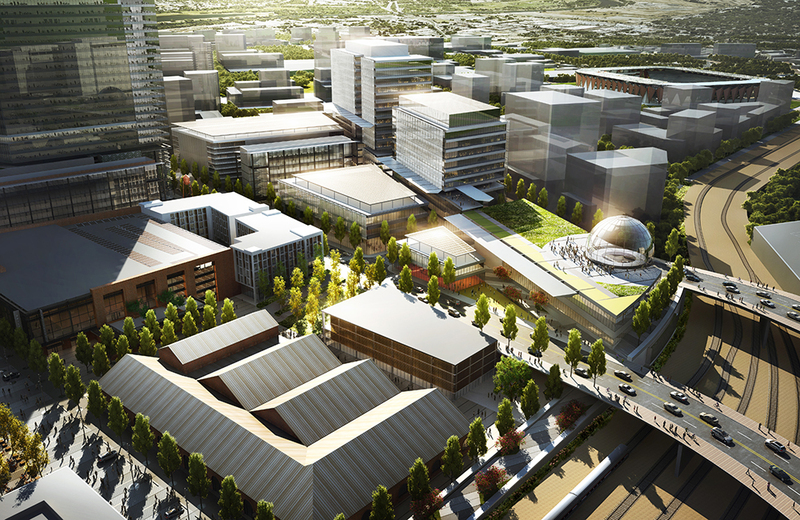 The master plan engaged The Railyards, a 244-acre urban infill project located in the heart of downtown Sacramento and integrated existing city projects. 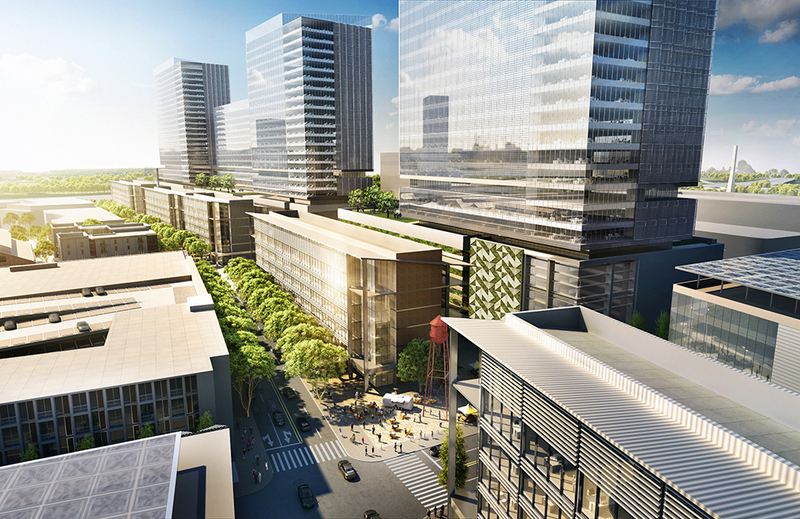 The design, projected to double the size of Sacramento’s central business district, would provide the opportunity to redefine the Sacramento region’s urban core environment and lifestyle. 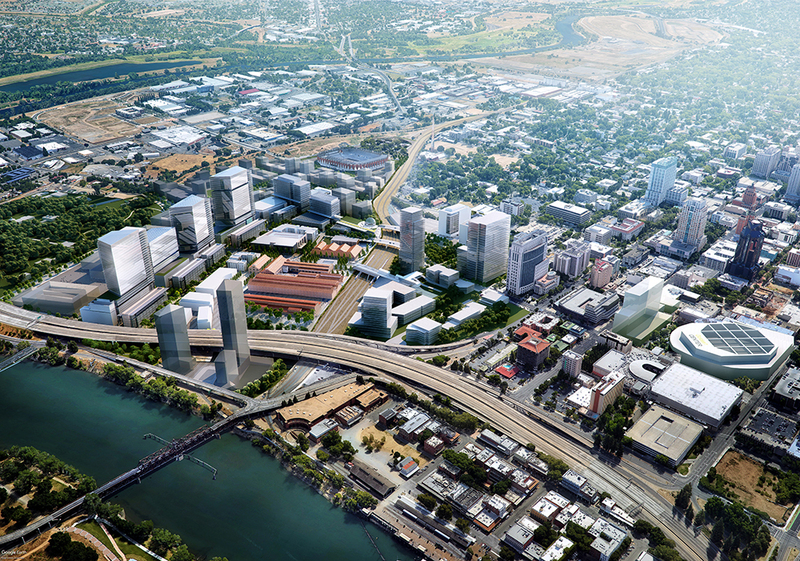 Having already achieved some recent successes with two major catalytic anchors: a Kaiser Hospital Campus and a Major League Soccer Stadium, Amazon HQ2 at the Railyards would represent a unique opportunity for Amazon to establish an iconic presence in downtown Sacramento, adjacent to the region’s public transit hub (intermodal station) and the Sacramento Riverfront. 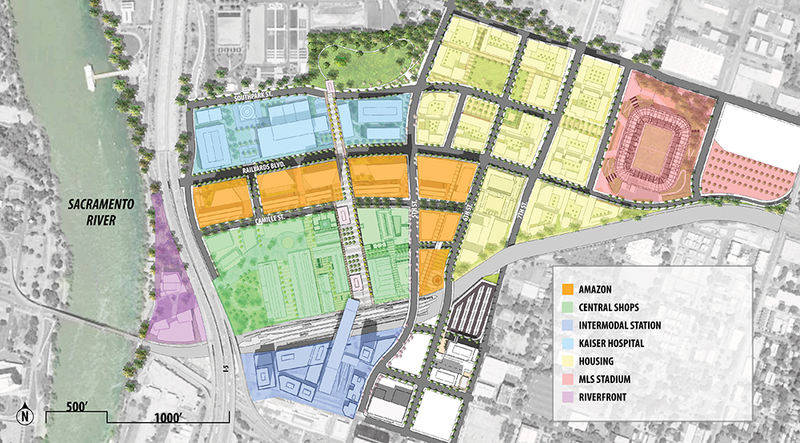 With 10,000 housing units entitled in The Railyards, the plan incorporates residences for over 20% of Amazon’s workforce within walking distance of HQ2. The Railyards once served as the western terminus of the Transcontinental Railroad. At the time, it was not only a hub of innovation and entrepreneurship, but the most significant employment center in the region. RMW’s master plan reimagined that historical era to a center of commerce, and technology, with all the attractive elements of modern, healthy, urban placemaking. The project’s proximity to public transit, integrated bike and pedestrian networks, employment centers, recreation and entertainment opportunities, would highlight the Central Shops Historic District as the foundational cultural amenity. HQ2 at The Railyards would reestablish continuity between surrounding neighborhoods by connecting to Sacramento’s street networks, an opportunity for history to come full circle. INCORPORATED CITY ANCHORS = URBAN VIBRANCY: Kaiser Hospital – Smith Group JJR | Intermodal Station – Perkins + Will | Major League Soccer stadium – HNTB). 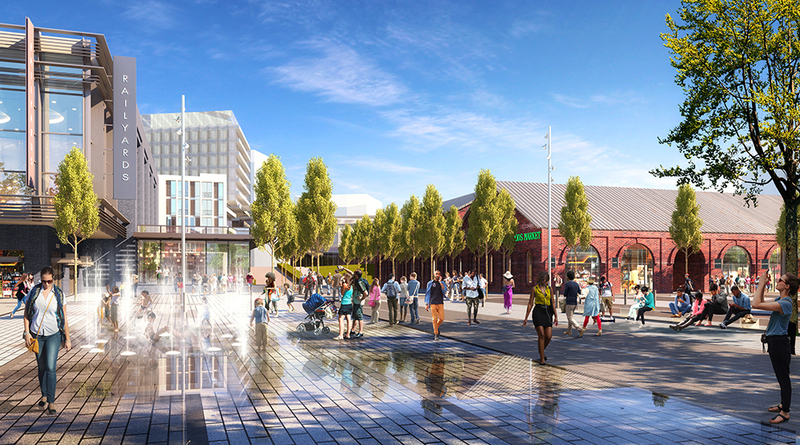 PUBLIC TRANSIT HUB = PRIME REGIONAL ACCESS: Future intermodal transit station located in The Railyards | AMTRAK Passenger Terminal | Multiple Light Rail Stops | Streetcar – Urban Connector. UNIQUE AMENITIES = PLACEMAKING: Railyards Historical Central Shops District | Create the Cultural & Retail/Entertainment Center of the project | Railyards Riverfront – 5 Acres | Only privately owned Sacramento River frontage in downtown | Three blocks from Golden 1 Center and Downtown Commons.